Have you ever heard of or read about outcome-based research (OBR)? Does it sound familiar? The truth is, outcome-based research is a word play from outcome-based education (OBE), a popular theory that emphasizes the outcomes or goals of an educational system, that is, the focus is not on content but to the object of the training – the student. Also, OBE does not follow the rigid dictates of some sort of methodology to educate the student. It focuses on the outcome, or goal as the ultimate measure of the effectiveness of a curriculum. OBR works the same way. The idea of OBR just occurred in my mind as I read through or heard about outcome-based education. Why not adopt the same principle in doing research? Make it goal-oriented just like OBE. As research director of the university, I embarked on the idea by holding a three-day research planning workshop two weeks ago. And I used e-tools in putting the OBR approach to work. The e-tools I used consisted of a free version of Vensim®, a systems analysis tool and XMind, a mindmapping software. I believe that research performance in the university will be boosted further by the innovative approach of outcome-based research. The focus is on the goal of research founded on the research agenda of the university. Vensim was used to identify which specific issues need to be addressed by research programs, projects, or activities. The tool was used to help unravel which variable or variables of the whole chain of interconnected events or resource states really matter. It also helped the researcher discern if he or she has the relevant expertise to do research along an issue or problem identified in the systems analysis. When the specific issue or problem has already been identified, the participants of the workshop came up with their desired research goal to help address the issue or problem. 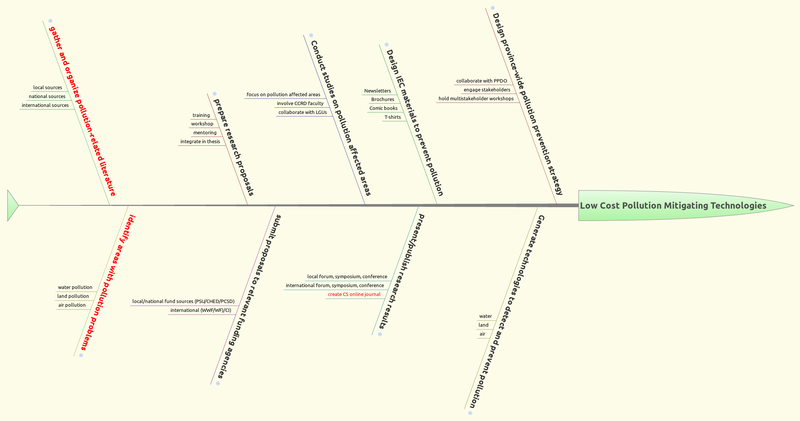 The desired goal became the head of the fishbone diagram created using XMind. Outcome-based research approach to mitigate pollution using low-cost technologies. You would notice that by stating clearly the goal of research, everything falls in place. Research now is not simply just research for the sake of research but an exercise which can help resolve an issue or problem. The steps required in carrying out the research venture are also identified such that all efforts converge towards a desired goal. It is a step-by-step process. Outcome-based research, therefore, is a new approach that brings the value of research towards a higher level. It is responsive to the needs of society. It does not stop at publications as the outcome of research but a much higher goal that can make life better for everyone. Research is not just for the sake of personal gain but for the sake of humanity. Learning the theories is not enough, you need to verify them through actual application of prevailing paradigms that explain complex phenomena. And the first crucial thing you should do is to identify a good research topic. How do you identify a research topic? If you have this dilemma at this time, here are 10 guide questions on how you should be able to get out of this bottleneck and apply whatever research training you have had while doing course work. 1. What topics does your funding institution support? While you may have a lot of choices to begin with, it pays to find out first the priority topic of your funding institution. It is possible that you have very good ideas to pursue, but you may not have the financial resources to fuel your investigation. If you can afford to spend for your research then you may have more leeway. 2. Does your research output have any use at all? After conducting the study, will your research work help shed light on issues or resolve some sort of problem that will make life better for people? The greater the utility you can get out of your research, the more satisfaction you will gain. Find a need and address that need using your research skills. 3. Are research tools available for your use? What method or methodology will you apply in your study? Do you have equipment or materials that need to be purchased or available in your university? Using existing equipment or instruments will be to your great advantage. It will save you time, money, and effort. 4. Can the research problem be answered within the given time frame for you to finish your course? If your scholarship allows you two years of doing research, then it’s just sensible that you finish your thesis within this period or even less. Anyhow, your first research venture is essentially just a practice, in partial fulfillment of your course requirements. 5. Do people search for answers to your question? You need to cite people related to your work. You might have that misconception or wrong notion that nobody ever did a study along the topic that you have in mind. There will always be related literature and studies which you can review to narrow down your search to a concern that nobody delved into. A popular topic such as climate change may be broad but many things can crop out of it. Also, funding along this concern appears to be very much available nowadays. 6. Is your research topic novel? If you thought about your research topic as a result of your personal experience such as visiting a community needing help on some health issue, or predicament that significantly affect their lives, then that would be a great research topic. It is also expected to be of great utility to people. Chances are, you are treading a new path. If you pioneer an area of research, eventually, you will become an authority in that niche. 7. Is your problem within the range of your discipline? When you specialize, you narrow down your focus so that you become an expert in that discipline. The more you know about your trade, the less that you know about other things. But then you have to make sure that you work within the range of topics within your discipline so your research is relevant to your field of specialization. 8. Did you seek guidance from your research adviser? You may think confidently that your topic is the best there is. But your professor has the experience and broader understanding of your field so don’t hesitate to consult a senior researcher or experienced professor regarding your topic. 9. Did you explore the literature? Browsing through recent research papers in your discipline will give you ideas on what issues or problems are being studied. You start off with observations and verify these observations with a comprehensive review of relevant literature. A university subscription to a database of scientific journals is a big help. Web of science is a scientific publication authority many researchers have been depending on for many years. For third world countries, this is not easy; and researchers have to contend with whatever they have at hand. This impacts on the quality of their research although open access journals are becoming popular and may be the norm in the future (see doaj.org). 10. What strengths do you possess that will enable you to do the required tasks in your study? You have to assess your capabilities or skills to undertake what you have in mind. Be realistic. Don’t study the corals if you don’t even know how to swim and is afraid of water. Your health may also prevent you from doing a very good research intention. Finally, all these tips will be for naught unless sensibly applied. Words are useless unless put into immediate action. Start off now and share your discoveries. The conclusion is an integral part of a research paper or thesis. Writing a proper conclusion, therefore, should not be taken for granted. It wraps up the major findings of a scientific investigation and serves as a springboard for future studies.How should this essential part of a research paper be written? What good practices can you adopt for effectively writing it up?This article provides five tips on how to write a conclusion with examples for greater clarity. To be systematic about it, re-read the objectives of your study or the statement of the problem. Write something about objective number 1, number 2, and so on.After going through all those methods to answer the objectives or the statement of your problem, write your synthesis of findings in a sentence or two. The idea is to write the conclusion concisely without leaving out the important elements.Consider this simplified example:Objective #1. Determine the relationship between time spent by teenagers on social networking sites and time spent with friends offline.Conclusion: There is a reason to believe that time spent on social networking sites reduces teenagers opportunities to spend time with friends offline.That is the meat of your conclusion. You can build on that statement and offer ideas so that other researchers can investigate further on the issues you have raised.You may ask yourself the question: “So what if the time spent by teenagers on social networking sites reduce their time spent with friends online?” You might go on to say that this is an important finding that parents and educators must look into to prevent teenagers from becoming socially handicapped adults. This weakness could lead to inability to work harmoniously with other people. Make sure that your conclusion addresses the issue or gap that you have identified while exploring the research subject in the introduction of your research paper.Have you resolved the issues that you have raised or did your investigation lead to more questions?Your conclusion should wrap up the whole paper. It is here where you integrate all your findings. Integrate means putting all of the ideas together to come up with a general idea. That general idea becomes a theory in the long run; that is if future studies converge towards or support what you are proposing as an explanation for a phenomenon. In other words, this is where you once again present your thesis.For example, using the study on time spent by teenagers online, your introduction may have pointed out that many of the recent graduates are socially-handicapped employees. So this could be traced to their habits as “screenagers” or teenagers who spent most of their time in front of the computer in the past. Not all research results are conclusive. It is possible that the data you have gathered is not enough to draw out a sound conclusion that can help explain the issue you are looking into. There may be things that need to be added, considered, or factored in to shed better light to an unexplained phenomenon.You can point this out in the conclusion and offer a course of action that future researchers can take. This will help researchers investigating a similar issue to use your paper as one of the foundations for another study. Your research will help unravel the mysteries of a phenomenon that baffle contemporary scientists.For example, a medical researcher may have found evidence that immunotherapy works better than all other conventional treatments to cancer. But the samples are quite small such that the efficacy of such treatment could not be established for the general population. It is possible that immunotherapy works for only a certain group of people, but not for everyone. Writing the conclusion follows an inductive approach. This means that you write it from specific to general. You have broken down the problem into manageable bits during the analysis. Now, in writing the conclusion, you build from the pieces once again to come up with a broad picture. phrases that state the obvious such as “In conclusion,” “Summing it all up,” etc. Writing the results and discussion section could be one of the difficulties that you encounter when writing your first research manuscript. There is no simple hard and fast rule in doing it but the following guide can help you start off with confidence. The results and discussion section is also referred to as the data presentation, analysis, and interpretation section. You present the results, show the analysis, and interpret the outcome of the analysis. As a take off point, it would help if we separate these two terms, i.e., results and discussion, into simply the results and the discussion as separate parts of the paper. In some universities and usually in scientific journals, however, these are taken as one. As the term connotes, you should write only the results of your study. What comprises the results? I describe it in detail in the following paragraphs. Observations are derived from the application of your methodology or method. These can be best presented using tables and graphs as objective representation of the measurements that you made. Numbers are more definite approximations of reality compared to just mere words. Words are more subjective and replete with misunderstanding. Be consistent with your units of measurement. If you start off with kg, then use the same unit all throughout your paper. Never should you manipulate the outcome of your measurements. Be honest in presenting information even if the result is unexpected. Whether the result is positive or negative, present it. This is an objective move. You may also add photographs whenever needed but make sure these are relevant, not just whimsical addition to your paper or a means to flaunt your good photography skills; although it would be advantageous to show such skill coupled with relevance. Pictures can speak a thousand words. In general, give as much detail as possible in your presentation of the results. Read and reread your statements for clarity. Engage a competent friend or a colleague’s discerning eye for details. It is easy to follow your presentation if you break this into meaningful subtopics based on your stated objectives. A one-to-one correspondence would be great. Say, the first subheading will be about objective one, the second subheading about objective two, and so on. Notice that in writing this article, it is an easy read to have a subheading for every major thought. This makes for easy reading thus understanding. And the writing becomes logical. Your key results should be stated clearly at the beginning of each paragraph. It should serve as the topic sentence (see the TSPU Principle). Support that statement with more detail such as presenting the results of statistical analysis. There is a significant positive relationship between the number of hours spent by students in answering Mathematics questions and their examination score. This result is consistent across all grade levels in the three schools examined. Table 1 shows the correlation coefficients and their corresponding significance level. After examining several theses of previous years, I noticed that many undergraduate and even graduate students miss this part. The results were presented as well as the analysis but no discussion is in sight. Trends refer to changes over time. Are your results showing an increasing, decreasing or just plain, constant direction? This should be evident in the graph that you presented. Spatial differences refer to differences in space or location within the same time frame. Is there a significant difference between the two groups examined? Is there a difference in the morphological measurements of one group of animals obtained from one location compared to another group? These are questions that explore spatial differences. Insightful interpretation means well thought explanations. That means you will have to ponder deeply the results of your study and make a knowledgeable statement of your interpretation using the body of evidence at hand. This is where you cite evidences obtained by other authors. You either confirm or affirm other people’s work or refute using your own findings. Be on guard in writing your generalizations. Make sure that the data you analyzed can be extrapolated or will allow you to predict somehow the behavior of one variable. If you have enough samples then you may make a generalization. How enough is enough, you may ask. If your data has little variability as indicated by low variances, then it is possible that additional measurements will not change whatever trend you have. Always match your generalization with whatever results you have. Conversely, do not generalize when you have very few samples. Don’t say 50% when you actually have only two, three, or even four samples described in your study. That’s plain absurd. In scientific inquiry, not all things or factors are discovered. There are always unknown or unaccounted areas. This is the reason why everything is founded on probability. No one’s 100 percent sure. So you should never say “prove” as a matter of contention. Prove means 100% sure which never happens. There are always expected deviants from the norm. Things happen due to something else. Reaction arises from action. These are called determining factors. Are there reasons why your results follow a trend? Is it evident in your study? If there is, then say it and explain why so, again based on your observations or evidence. You may guess but make it educated, meaning, you have done your homework. You have reviewed the literature and use it as a leverage for advancing your hypothesis or inference. Does your finding support or refute what has been done so far? 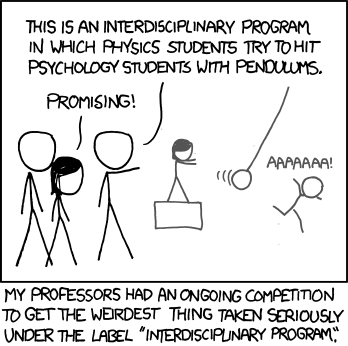 Does it support previously advanced hypotheses? Remember that there is no such thing as a simple explanation of a complex phenomenon. Find one that is most aligned to your findings. It would be interesting to be in the controversial side as long as you have done your study systematically and bias is reduced to a minimum. What the are the important things that your study has contributed so far in view of what has been laid out in the body of literature? Why is your work important and what things need to be investigated further? From your set of questions, if many other questions arise, then your work has helped unravel other areas worthy of investigation. This is just how science works. The mysteries of the universe are uncovered yet there are still many unknowns. No human has absolute understanding of everything. But if your work has potential to make life better, then it’s a great accomplishment. February 9, 2015 Regoniel, Patrick A. 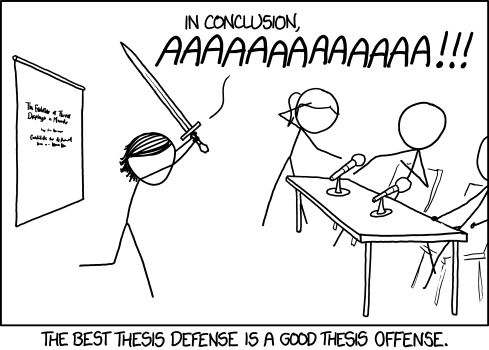 In writing the introduction of a thesis, a section is devoted to the significance of the study. This article discusses how to write this section and provides an example to illustrate the technique. Essentially, the section on significance of the study provides information to the reader on how the study will contribute. It must be specifically stated, however, what the study will contribute and who will benefit from it. You can figure out several important contributions of your research paper if you let your mind flow. But I find the following tips helpful in writing the significance of the study. For example, if you ask the question “Is there a significant relationship between the teacher’s teaching style and the students’ long quiz scores in Mathematics?” then the contribution of your research would probably be a teaching style or styles (among say, three teaching styles you evaluated) that can help students perform better in Mathematics. Your research will demonstrate that that teaching style really works. That could be a groundbreaking approach that will change the way teachers teach Mathematics which many students abhor. Write the significance of the study by looking into the general contribution of your study, such as its importance to society as a whole, then proceed downwards—towards its contribution to individuals and that may include yourself as a researcher. You start off broadly then taper off gradually to a specific group or person. Coupled with reference to the problem statement, this effectively stimulates the mind to think in a deductive mode, i.e., from general to specific. This writing approach is similar to the Inverted Pyramid Approach discussed in How to Write a Good Thesis Introduction. Example significance of the study. These two techniques will prevent your mind from wandering wildly or aimlessly as you explore the significance of your study. 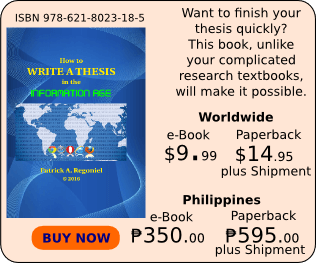 Applying them will save time thus allow you to focus on the next section of your thesis. Who knows, this section may also help justify why your study deserves a grant. 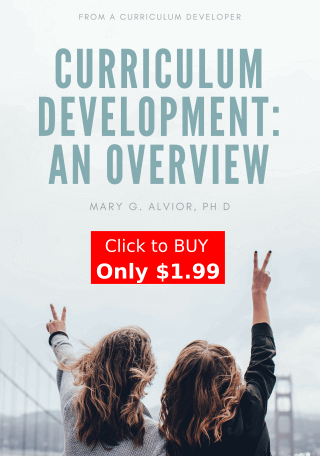 This article briefly discusses the methodology used by Dr. Mary Alvior in the preparation of her dissertation focusing on the benefits of in-service training activities to teachers. She expounds on the results of the study specifically providing descriptive statistics on satisfaction of in-service training to them and how this affected teaching efficacy, job satisfaction, and attitude in public school in the City of Puerto Princesa in the Philippines. This study utilized the research and development method (R&D) which has two phases. During the first phase, the researcher conducted a survey and a focus group interview in order to triangulate the data gathered from the questionnaires. Then, the researcher administered achievement tests in English, Mathematics and Science. The results found in the research component were used as bases for the design and development of a model. The model was then fully structured and improved in the second phase. The participants were randomly taken from 19 public high schools in the Division of Puerto Princesa City, Palawan. A total of fifty-three (53) teachers participated in the study and 2,084 fourth year high school students took the achievement tests. Teacher-Made Achievement Tests for English, Mathematics, and Science. The topics in the achievement tests were in consonance with the Philippine Secondary Schools Learning Competencies (PSSLC) while the test items’ levels of difficulty was in accordance with Department of Education (DepEd) Order 79, series of 2003, dated October 10, 2003. Seminar was perceived to be the most familiar professional development activity among teachers but the teachers never considered it very important in their professional practice. They also viewed it applicable in the classroom but it had no impact on student performance. Aside from seminar, the teachers also included conference, demo lesson, workshop and personal research as the most familiar professional development activities among them. Nonetheless, teachers had different insights as to which professional development activities were applicable in the classroom. Science teachers considered team teaching, demo lesson, and personal research, but the English and Mathematics teachers considered demo lesson and workshop, respectively. With regard to the professional development activities that were viewed very important in their professional practice and had great impact on student performance, all subject area teachers answered personal research. However, the Mathematics teachers added lesson study for these two categories while the teachers in Science included team teaching as a professional activity that had great impact on student performance. Moreover, teachers had high regard for the INSET programs they attended and perceived them effective because they were able to learn and developed themselves professionally. They were also highly satisfied with the training they have attended as indicated in the mean (M=3.03, SD=.34). Particularly, they were highly satisfied with the content, design, and delivery of in-service training (INSET) programs, and with the development of their communication skills, instruction, planning, and organization. Teachers had high level of teaching efficacy (M=3.14, SD=.27) particularly on student engagement, instructional strategies, and classroom management but not in Information Communication and Technology (ICT). It seems that they were not given opportunities to hone their skills in ICT or they were not able to use these skills in the classrooms. Likewise, they had an average level of job satisfaction (M=2.91, SD=.27) and had positive attitude towards their teaching profession (M=2.88, SD=.44). In conclusion, there are professional activities that are viewed very important in teaching and there are also which have great impact on students’ academic performance. In addition, the study found the inclusion of ICT in teaching and for professional development. To know more about the model derived from this study, please read 2 Plus 1 Emerging Model of Professional Development for Teachers. Are you a college student looking for a relevant research topic to explore? Do you find it difficult to figure out what you would want to pursue given the limited time you need to prepare your thesis? This article is for you. The article provides tips on how to come up with your research topic plus 10 research topics that you might want to pursue as you begin to write your first research paper. What is a good research topic? One of the things that college students find difficult in the course of preparing their thesis is how to come up with good research topics to explore. The identification of a good research topic is actually one of the most challenging activities that college students have to face as they begin writing their first research paper. What problems or needs in the communities around you can you help address using research as a tool? What current issues do you know that have arisen in the past few months that caught your attention? Is the research topic you intend to develop relevant to the course you are pursuing? Are you working on topics that are related to the research agenda set forth by the university or college? These questions have time and again stimulated the students’ thinking in such a way that they have come up with new research topics relevant to their course. These questions also touch on students’ responsibility in helping their communities adapt to rapid changes brought forth by both man and nature; such as rapid urbanization and sophisticated technologies and climate change, respectively. These two things greatly influenced everyone’s lifestyle. research enhancement, administration, and publication. Here are research topics that you might want to pursue in the course of developing your thesis requirement based on the agenda I mentioned a while ago. These consist of those topics thought out by students. I also incorporate my own set of topics based on conferences I attended as well as personal observations. These topics are just starting points. Along the way, while you review the literature, consult with experts, browse the internet, among others, your knowledge about these topics will expand. This will mean that you will be able to make refinements on the research topic you are interested in. It is also good practice to see how researchers approached the problem, i. e., what their methodologies are in answering the objectives of their study. Do you have other research topics in mind based on the research agenda? Post them below and start a discussion.